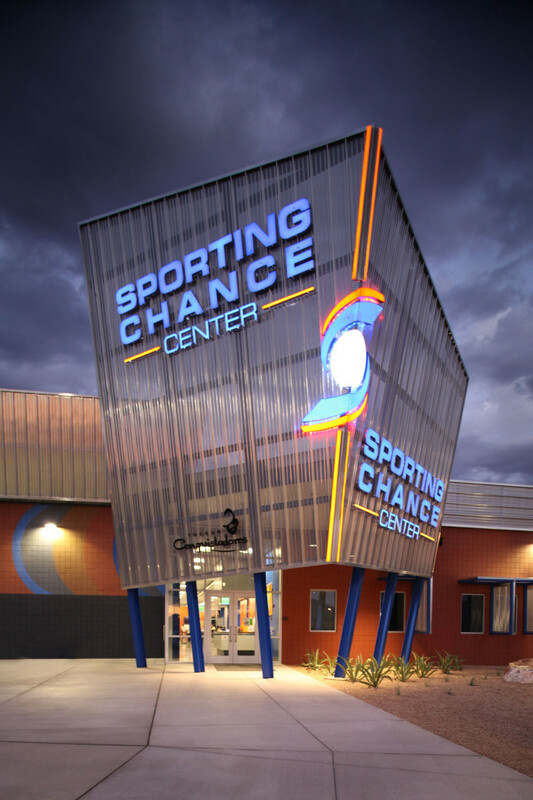 The Sporting Chance Center at Curtis Park is an example of our success in working with Pima County on a LEED facility. It is the result of collaboration with several public and private community partners over more than a decade of commitment to improve the lives of Tucson youth by providing a venue for indoor sports of all types. Pima County Natural Resources and Parks and Recreation provided the site and the nonprofit Sporting Chance Youth Basketball organization operates the facility. Owned by Pima County, the facility was constructed with private funds. Swaim Associates bridged the various priorities of these organizations to provide an energy efficient facility to meet the evolving budget. Customized renderings were provided for the fund raising process as was a video that was presented to the local homeowners group. The facility has already proved to be in near constant use with youth programs and tournaments. This entry was posted on December 5, 2014 by Jon Black.